Trying to find pubs in Orpington? You’ve come to the right place. We’ve got every pub and bar in the UK listed. Whether you’re looking for a pub or bar in Orpington to play darts, somewhere to play pool or just want to have a look at a menu before you go, we can help. Maxwell Hotel in Orpington shows football on TV. 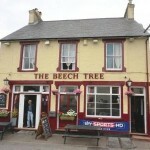 The pub has Sky Sports, it has terrestrial TV. 16/03/2014 Very welcoming staff & easy to relax! 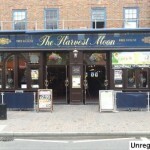 Harvest Moon in Orpington has disabled facilities. The pub is a family friendly pub, it serves food. Harvest Moon serves real ale. The pub has free WiFi, it has a dart board. Harvest Moon is a member of Cask Marque. Royal British Legion in Orpington shows live comedy. The pub has a dart board, it has a pool table. Royal British Legion holds quiz nights. Cricketers in Orpington has a car park. The pub has an outside area, it has a smoking area. Cricketers has free WiFi. The pub has a dart board, it has a pool table. Cricketers shows football on TV. The pub has terrestrial TV. Two darts teams play Tuesday night in the Kent Blind League.This is the first pub in the UK to have karaoke. It was featured on The Old Grey Whistle Test. Friendly locals pub. Buff in Orpington has a beer garden. The pub serves food, it has an outside area. Buff serves real ale. The pub has free WiFi, it is a member of Cask Marque. Rosecroft Social Club in St. Mary Cray has a function room that can be booked. The pub shows live comedy, it has a dart board. Rosecroft Social Club has live music events. The pub has a pool table, it holds quiz nights. Rosecroft Social Club shows football on TV. The pub has terrestrial TV. 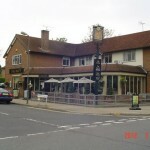 Chelsfield in Orpington has an outside area. The pub shows football on TV, it has Sky Sports. Chelsfield has terrestrial TV. 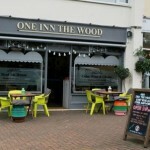 Day or night, you'll always find a broad range of beers and great value food at this quirkily named pub in Orpington. Queens Head in Green Street Green has a beer garden. The pub has a car park, it serves food. Queens Head has an outside area. The pub serves real ale, it has free WiFi. 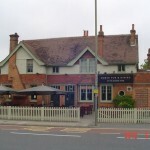 Queens Head is a member of Cask Marque. An award winning Micropub dedicated to real ales, local wines and ciders. Sovereign Of The Seas in Petts Wood has disabled facilities. The pub is a family friendly pub, it serves food. 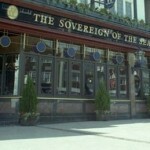 Sovereign Of The Seas serves real ale. The pub has free WiFi, it is a member of Cask Marque. Change Of Horses in Farnborough has a car park. 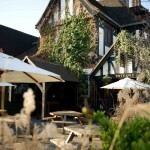 The pub is a family friendly pub, it has a function room that can be booked. Change Of Horses has an outside area. The pub has a smoking area, it has free WiFi. Change Of Horses has a dart board. The pub shows football on TV.